If you don’t have the necessary resources to conduct your relocation – have no worries and give us a call as we will happily lend you a hand and provide you all the manpower, equipment and vehicles that you may need to handle your upcoming domestic or commercial removal. We are a professional moving company that is fully licensed to provide removal services in the United Kingdom. 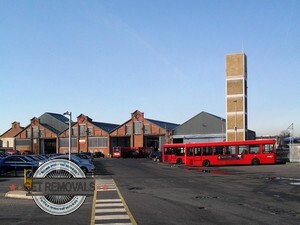 This means that we can provide to our clients both inner-city and inter-city removals. At the moment we are the go-to moving company of the Fulwell business owners. We have the vehicles and the trained removal specialists to move any type of commercial establishment. Whether it’s an office, shop, eatery, warehouse or factory – we can do it because we have the know-how to successfully handle all types of commercial removals. You can be sure that the domestic removal service we carry out is of equal quality. The things our company is about area reliability, speedy, cost and service efficiency. The best thing about our removal services is that we provide them at highly affordable prices which are based on the individual specs of your removal project. We are protecting our clients from overpaying and we believe that this is the main reason behind our immense popularity not only in the area of Fulwell but the entire city as well. Also while check out the website don’t forget to get our contact info and give us a call or email you to request a free service quote or more information regarding our services. As mentioned above we are seated in the area of Fulwell. Fulwell is a London area that is part of the borough of Richmond upon Thames. It lies in the western parts of the city in the TW11 and TW12 postal code districts. According to historical documents the area has been known as Fulwell since the mid 15th century. The area is neighbored by the more prominent London areas of Twickenham, Teddington, Hampton, Strawberry Hill and Whitton. Fulwell is classified as a residential area and is mainly inhabited by the working and lower-middle class of London. The area is served by the Fulwell Railway Station which was opened in 1864 and serves the Shepperton Branch Line. The station is managed by the South West Trains and is used by approximately 500,000 people on an annual basis.